Second view of three sided billboard on Strandvägen 9 in Stockholm. Made for the exhibition stART 98, featuring 30 artist's billboard projects.To the left artwork in original colours (minus text). 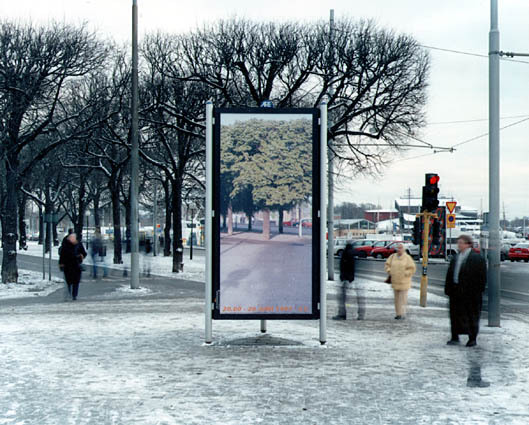 To the right: installation photograph January 98.